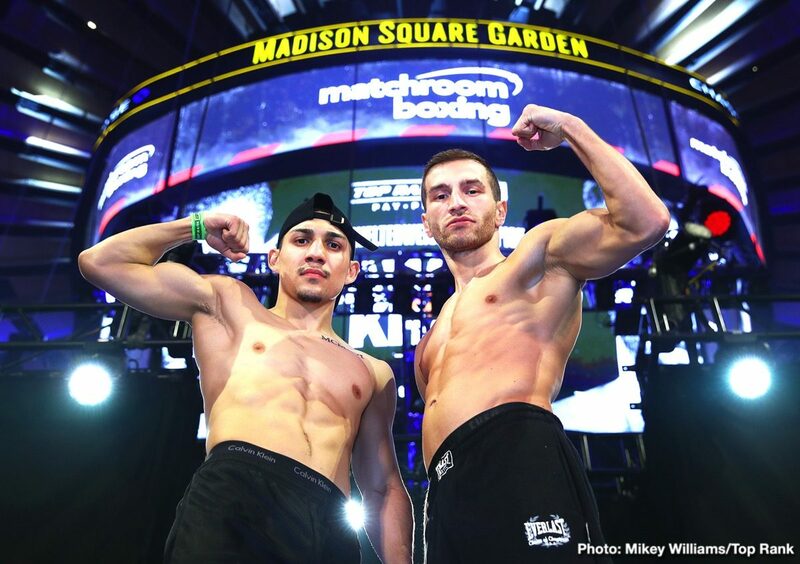 Tomorrow night, undefeated lightweight sensation, Teofimo Lopez (12-0, 10 KOs) continues his quest towards a world championship as he takes on highly-regarded European champion Edis Tatli (31-2, 10 KOs) in the 12-round co-feature of the highly anticipated Terence Crawford – Amir Khan Pay-Per-View card at Madison Square Garden. 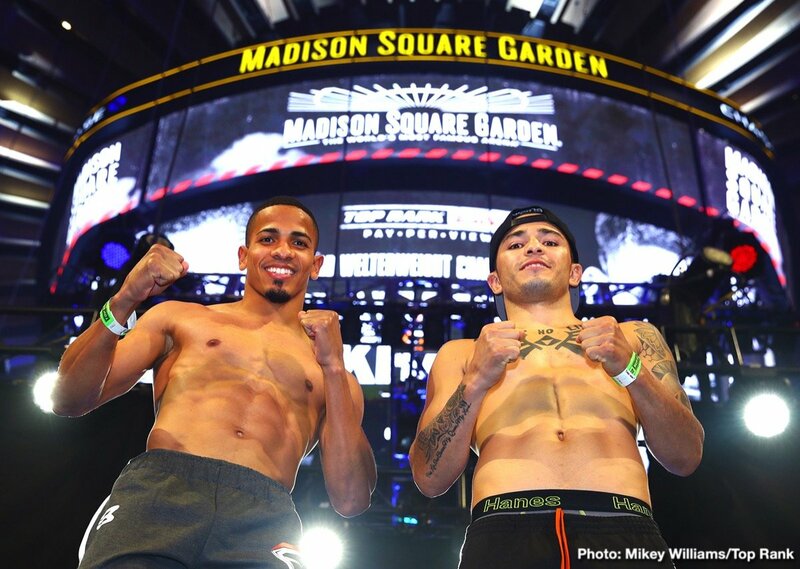 The fight will be contested for the NABF Lightweight title, which is held by Lopez. Lopez, the 2016 Olympian representing Honduras, has risen through the lightweight division at a meteoric rate as he scored 10 sensational knockouts in his 12 wins. 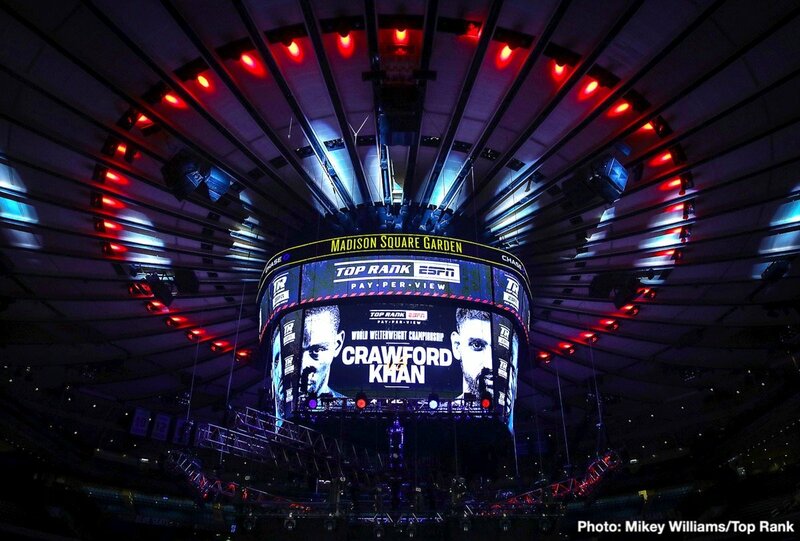 Saturday night will be the next progression as he is the chief support bout on a major pay-per-view card in the world’s most famous arena. 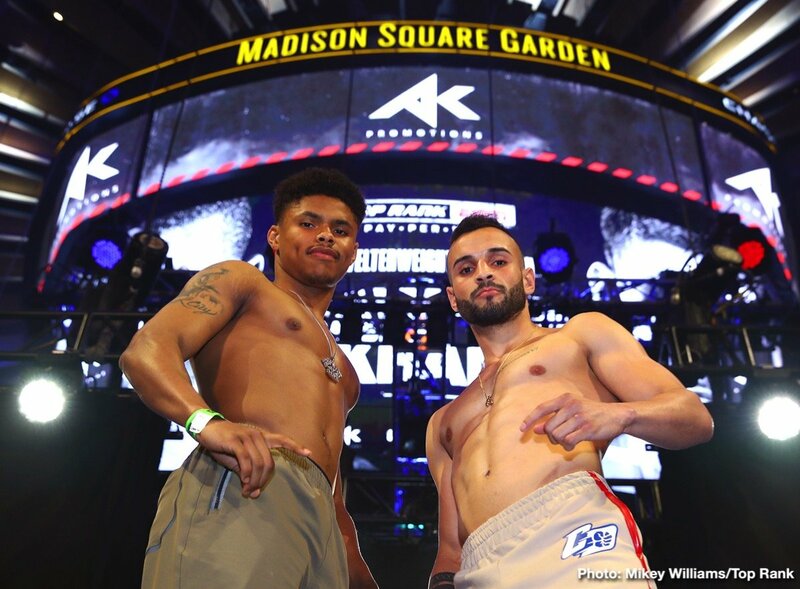 This will be the 5th appearance for Lopez at the Garden property (two fights in the big arena and two in the theater), and with a win, a Summer world title fight could be on the agenda. In Tatli, Lopez is facing a tough and durable fighter, who has a record of 31-2 with 10 knockouts. Those two losses were by majority and split decisions. Tatli has competed for the lightweight world title and has held the European title for most of the last half-decade.